Technology has revolutionized today’s music producers’ flow. Dance music is at its peak right now with hundreds of new DJs and artists emerging every day, each having their own unique sound and using varied technologies to play and produce. I come from a background of DJing and have seen how the industry has grown immensely over the last two decades. Starting from the culture of turntables and vinyl (the era of 12 inches), the industry has come to the stage where a 2 inch pen drive or a 1 inch SD card can have a music worth thousands of vinyl records and with the help of modern equipment one can do a set that is creative, flawless and complex at the same time. Seeing the massive growth in the industry and with constant R & D over the years, many companies have emerged and come out with a range of equipment to make the DJ’s performance a memorable experience. In my 18 years as a DJ, I have used equipment by many companies like Technics, NuMark, American Audio, Vestex, Denon, Pioneer DJ Systems, Native Instruments, Serato and many more. While Native instruments and Serato mainly focused on digital DJing, the others have constantly tried to keep the set up old school to keep the real feel of DJing alive. One company, in particular, has revolutionized the DJ culture with its products – Pioneer DJ System. Without a doubt Pioneer is the industry leader when it comes to DJing products. I can’t think of a club or bar nowadays that doesn’t have the Pioneer equipment, be it a mixer or decks or DJ monitors or controllers. Pioneer CDJ decks and mixer have become the industry standard and Pioneer has done a lot over the years to add new features in order to enhance performance with their deepening understanding of the DJ’s needs. My current set up consists of Pioneer CDJ 2000 Nexus or Nexus 2 and Pioneer DJM 900 Nexus or Nexus 2 Mixer. With the amount of features this set up offers one can actually range their performance from plain old beat mixing to actually playing a live set. With the introduction of Rekordbox Ecosystem by Pioneer, I have an absolute control over my music and assured of a flawless performance every time. In the recent addition to their product range, Pioneer has just introduced new CDJs, the mixer “Tour 1 Series” and a stand-alone sampler called Toraiz Sp16. I have had the opportunity to work and test both these products and to be honest, I am pleased to inform that I am quite impressed with their potential. Before I come to the features, I have to tell you, this is probably the heaviest machine that I have ever lifted. Over the last 10 years or so, festival culture has taken over the globe, especially in Europe, the US and South America where they host hundreds of festivals and arena shows every year witnessing crowds of thousands of people. I think Pioneer has been closely monitoring all these festivals and events and constantly identifying the problems a performer faces and how they can improve the overall experience. Though Pioneer’s latest series of Nexus 2 CD Players and mixer is a revolution in itself, the Tour Series is a step ahead. I feel that they were mainly designed for performing at big shows and festivals and definitely not designed to be used at home or in small clubs and bar. This is definitely a Pro DJ set up. As far as cost is involved, I feel they are aimed at companies who do the arena shows, providing them with a stable, reliable and high quality playback and mixing system. I remember playing at Supersonic Festival a couple of years ago and even last year. My set was at 4 pm in the afternoon in Goa when the sun was at its peak and the stage was designed in a way that sun was shining straight onto the console and my face. The console set up at that time was Pioneer CDJ 2000 Nexus and a Pioneer DJM 900 mixer. These CDJs have a 6 inch display screen that shows the track name, its waveform, artwork, BPM and tempo change in percentage which I feel is bright enough to read in the night but during the day with the sun shining straight into my eyes, it was impossible for me to read the screen or see the time signature of the effects that I was using on the mixer because of glare. I am sure many other artists would have faced the same issue .The only solution that the festival organizers could think of that time was to put an umbrella over the DJ console which wasn’t effective at all. Another issue that was there was that all these CDJs and mixers were linked through a ProDJ Link using LAN cables and connecting each of the units through a router. In this scenario, if the connection got loose due to vibrations or by accident, you are likely to lose the link with many sound guys resorting to lose old LAN cables, low quality cheap routers or just laying out casually so if something moved the whole connection would get disturbed. I think Pioneer was quick to identify these issues and that is why Tour Series is a perfect set up as it eliminates such issues quite efficiently and provides a much sturdier and reliable set up. However, it definitely costs a fortune. 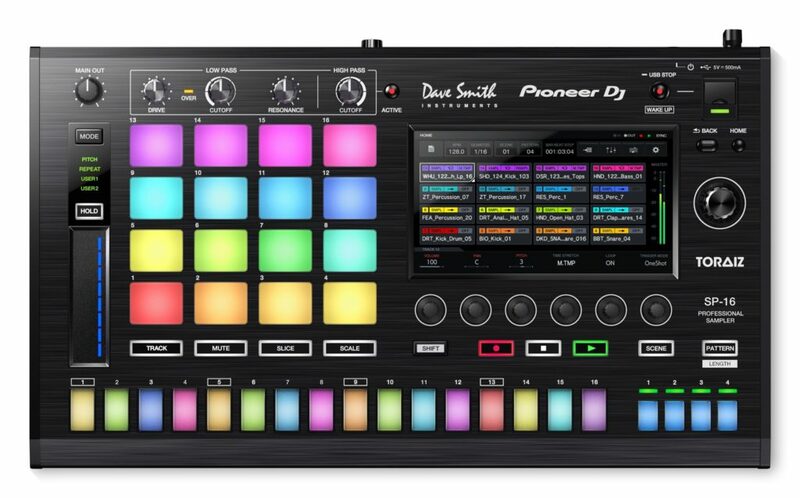 In simple terms if I have to describe the Tour Series, I would say they are basically Pioneer CDJ 2000 Nexus 2 CD Players and Pioneer DJM 900 Nexus 2 Mixer with the big 13 inch foldable LED colored screen along with a built in CPU. The screen can be tilted as per my requirement and I can even adjust the light of the screen and attach a display shade to protect from the sun’s glare when playing outside in daylight. The unit looks so fancy that it can catch the eye of anyone. The moment I got the set up sent to me by Pioneer, I was pretty keen to explore it. I connected The CDJs to the Tour DJM Mixer and the output of the mixer into my Pioneer SDJ 80X monitors. I also had the RMX 1000 connected to the sends and return of the mixer. The moment I played my first track through these CDJs, I could straight away feel the difference in the sound, as I know my monitors quite well now having used them for quite some time now. Everything sounded very warm and pleasing to the ears. It’s probably because of the 96KHz/24Bit soundcard that reproduces Hi-res sound and the fact that the power supply within the unit is separate from the sound card further reducing unwanted noise. The lay out of the CDJ Tour is exactly like CDJ 200 Nexus 2 except that it has a 13 inch touch screen attached to it. Behind the CDJ, you have the RCA Out, Digital Out, ProDJ Link port (LAN port) and a USB port to connect your laptop. The CDJ Tour doesn’t have quite as many improvements over the CDJ 2000 Nexus 2; the functionality of both these models is almost identical. In spite of this, the quality of the components used in the Tour Series is better than any other Pioneer DJ equipment. The backside of the CDJs definitely has the true mark of a professional product. The Ethernet connections are much more stable than the previous connectors and they lock perfectly into the CDJs. The 13 inch screen is a touch screen. This means that the CDJ now has two touch surfaces to work with but all the performance features like Play, Cue, Loops, Call Buttons, Slip Mode etc stay on the CDJ itself and not on the 13 inch touch screen. The 13 inch touch screen is mainly for browsing, loading tracks, searching and to display the bigger waveforms. I have over 50 different Rekordbox playlists to work within my Pen drive and when I load them on the older CDJs I could only see very few and to go into a playlist down below, I had to scroll down quite a bit. But when I plugged my pen drive into the CDJ Tour series, the 13-inch screen displayed quite a large number of playlists. I wish I had counted them but the fact that it had many more playlists to display on one screen made my life much easier. It’s got the most powerful track filtering system and it is very quick to respond. The searching of a track is pretty fast and easy. The moment I go into the search, the whole big touch screen keyboard appears. The response time of these CDJs is excellent. The waveform can be viewed both horizontally and vertically and I can actually see multiple waveforms on the same deck and compare them instantly. 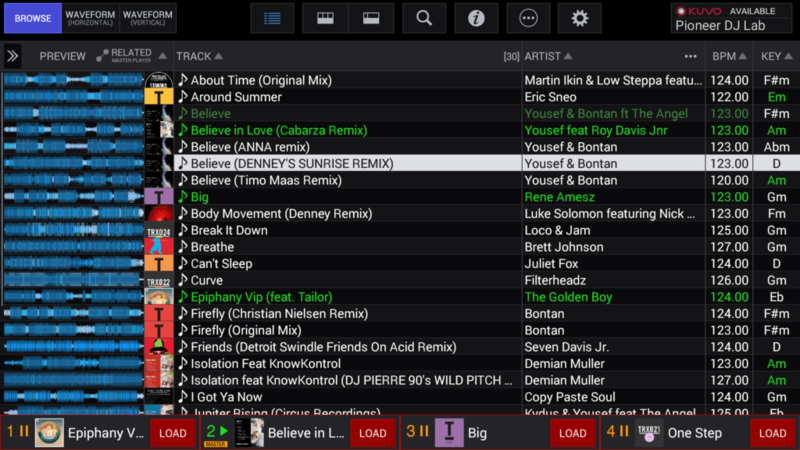 Another great feature is that I can load tracks on the other connected decks using the same CDJ Tour touch screen. The vertical waveforms are accompanied by the RMS meters that tell the audio level of the track at any given point of time. Having a screen in front of the CDJ is kind of a love and hate thing. For someone like me who comes the old school way, I feel the Nexus 2 system is the bomb but for the DJs who come from a laptop background may find the screen handy to search and load tracks as they are used to that environment. But thinking of a situation in which a person is playing through Rekordbox DJ via his laptop, in that scenario, he would have four screens to look at which could get quite confusing. Anyway I am quite happy that Pioneer is the first one to come up with something like this. I surely would like to see more added features, especially in the touch screen in the future updates to come. Since this has an inbuilt CPU, I really look forward to what future has in store for us. 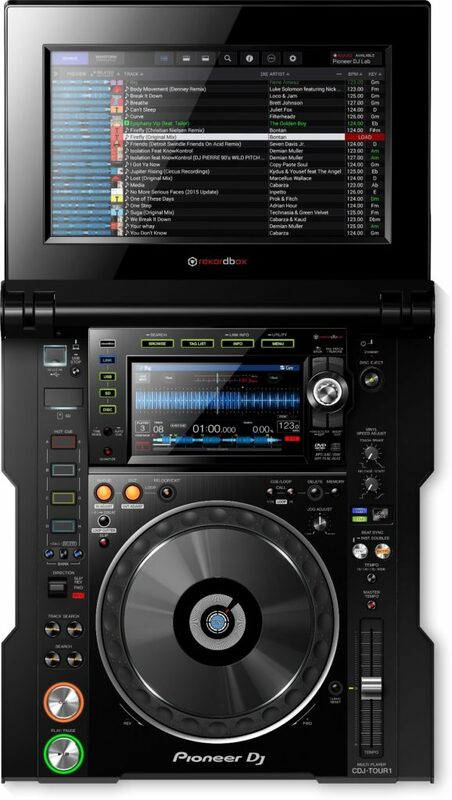 The CDJ Tour is capable of playing ALAC, AAC, AIFF, FLAC, Mp3 and Wav files. 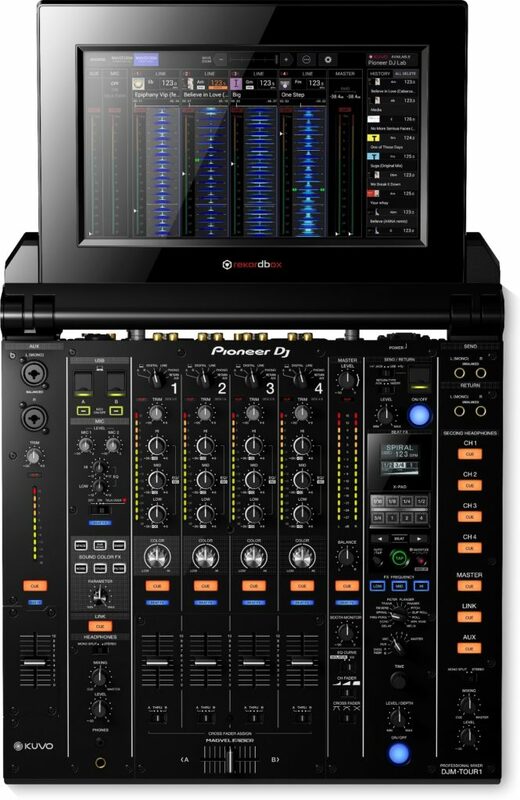 Now let’s talk about the Pioneer DJM Tour 1 mixer – a true beast of a machine. I feel this is probably the best mixer currently available. After using it for just a few days, it’s almost impossible to like anything else. Again the mixer is accompanied by 13 inch full color touch screen. It is a four channel mixer that probably delivers the best sound one can dream of having and adds up pro-grade audio components for any size of event. For arena shows and big festivals, the mixer has a digital AES output combined with the world clock input that we can connect directly onto the digital front of a house desk without any loss of signal. This mixer is bigger than the 900 Nexus 2 and the new features include two independent headphone outs, which are helpful when playing back to back DJ sets, as both DJs can hear and cue their tracks separately. Another great feature of this mixer are the two in-built 96Khz/24Bit sound cards that are capable of converting your system from average sounding to mind bogglingly crystal clear and I witnessed this in action both at home and while performing at the festival. This also means that two laptops can be connected at the same time to either play back to back or for a DJ change over. The next DJ doesn’t have to wait till the current DJ finishes for him to connect his laptop and use the sound card of the mixer. The back of the Mixer has a 5 port LAN hub that erases the need of an external router to connect the decks via the ProDJ Link. A 5 port LAN hub implies that we can connect 5 laptops or decks to this mixer and with the help of the ProDJ link we can share one source over the 4 connected decks. Another great feature I noticed is that it has phono inputs for all the four channels. Thus, apart from four CD decks we can even connect 4 turntables to it. The mixer also boasts of an additional Auxiliary In and there is a separate channel strip for that with a dedicated fader to control the level. This Aux In takes both the XLR as well as TRS sockets. With these we can connect external drum machines, samplers, synths and effect units or just simply another sound source. It also offers the XLR outputs for booth monitors. The send and return ports are on the top right of the mixer this makes it much easier to access them. Apart from this everything else is similar to 900 Nexus 2 mixer with the same color effects, beat effects and Maxwell faders. 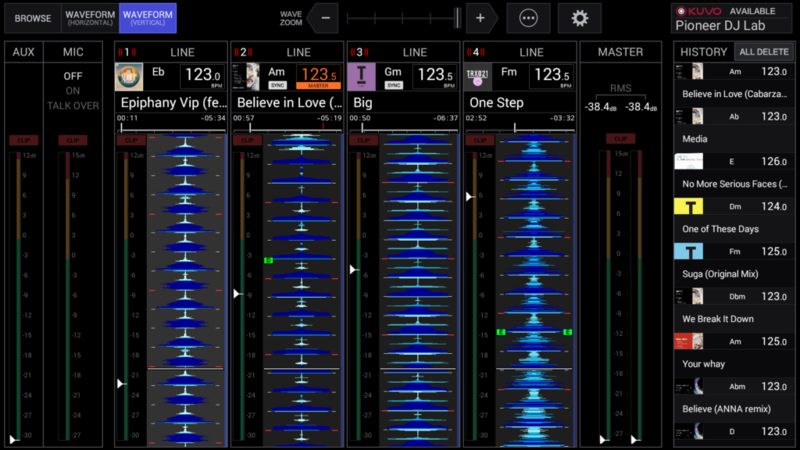 The 13 inch screen displays the waveform of the connected decks with RMS meters to compare levels and is even helpful to see if the mix is going down right or not. 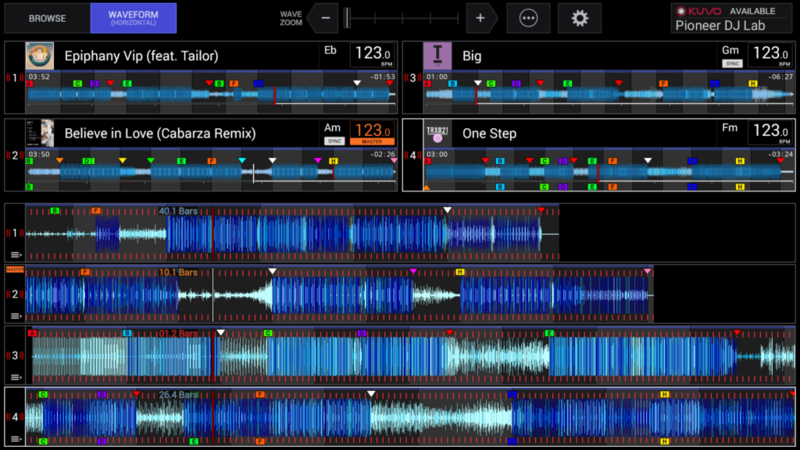 We can use the screen of the mixer itself to browse and load the tracks on any connected decks. After studying this set up thoroughly, it’s the mixer that interests me most and I would like this mixer to eventually provide the tour features with the Nexus 2 set up. That way it will not only be cost effective but also much more user friendly and can certainly make its way to most of the clubs around the world rather than just concentrating on festivals and arenas.